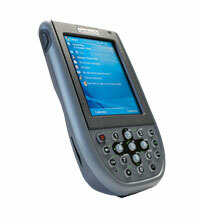 BCI - Includes a Unitech PA600 data terminal and all accessories. Carrying multiple forms for maintenance and inspections can be a hassle and cause confusion. BCI offers a simple solution featuring the Unitech PA600 data terminal that can automate all forms via a small, easy-to-use handheld device. The BCI FIELD-MAINTENANCE-PA600 is also known as FIELD-MAINTENANCE-PA600	or FIELDMAINTENANCEPA600	.